DailyDOOH » Blog Archive » Digital Consumer Solutions, Inc.
Like Danoo and Zoom Media in North America and Kaleidovision in the UK, these guys have written their own software rather than go out to the market. The result of that effort was DCSI CORE which not only run their entire network but is, we are told, “an affordable and viable solution to other digital signage networks”. We can’t comment on how good it is as we haven’t seen it – unlike Danoo’s software proposition which we think is fantastic but we’d expect DCSI to make a lot more noise in the industry going forward. Tempe, Arizona-based Digital Consumer Solutions, inc. (DCSI) is a nationwide digital signage and advertising network with digital screens located in high traffic quick service restaurants, convenience and grocery stores in most major markets. At the cutting edge of product and technology innovation in the digital-out-of-home industry, DCSI creates a platform for advertisers to engage and inform today’s fast-paced, constantly moving culture. By providing everything from the ground up, DCSI is able to customize individual and network-wide content and advertisements for clients based on location and demographics to produce measurable results. 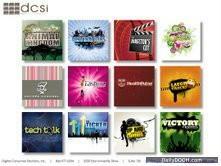 Leveraging DCSI’s network, advertisers are able to target consumers where other, more traditional, mediums cannot. This entry was posted on Thursday, July 16th, 2009 at 08:03 @377 and is filed under Scuttlebut. You can follow any responses to this entry through the RSS 2.0 feed. You can leave a response, or trackback from your own site. I was wondering if you could please tell me what has happened to DCSI? I have been googling it and it appears that DCSI is no longer in business. Please let me know what has happened to them because in our database we have them listed as one of our business partners, but I have been unable to find a phone number to reach them.